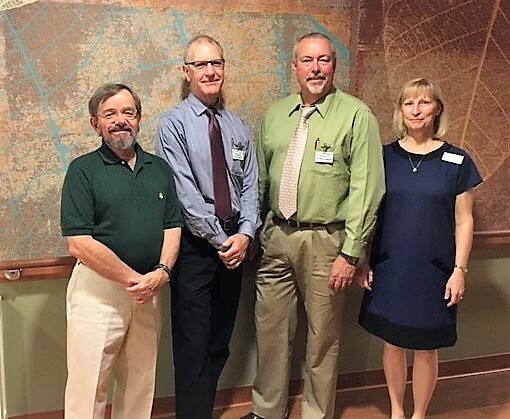 Meadowbrook Healthcare has four Board Certified Medical Physicians on staff who share over 125 years combined service in care with our patients and residents. Each person admitted to our facility is assigned a physician, however all four of our physicians see our patients and residents on a rotational basis. The New York State Department of Health mandates that residents of long-term care facilities are seen by medical physicians upon admission, once each month for three months, then once every other month unless warranted sooner. Due to the short duration of their stay, our Subacute Rehabilitation patients see our physicians more regularly. Dr. Richard Lacki, Dr. Kevin McCullum, Dr. David Anderson and Dr. Brenda Phillips.